I am responding to your Freedom of Information Act (FOIA) request dated April 3, 2014 that we received on April 8, 2014. All training materials, that have not previously been published in the Internal Revenue Manual, or on the IRS website including but not limited to, memoranda, staff manuals, Powerpoint presentations, videos and other materials that have been used since January 1, 2011 for the purposes of training personnel on the implementation of the Offshore Voluntary Disclosure Program ("OVDP"), or Offshore Voluntary Disclosure Initiative ("OVDI") including opt-outs from said programs (hereinafter collectively the "Programs"). All documents, that have not previously been published in the Internal Revenue Manual, or on the IRS website including but not limited to memoranda, staff manuals, Powerpoint presentations, videos and other materials which provide guidance, instruction, or other information on the determination of penalties for failure to file Report of Foreign Bank and Financial Accounts ("FBAR") Form TD F 90-22.1, and FinCEN 114. Of the 7,092 pages located in response to your request, I am enclosing 6,601pages. I am withholding 326 pages in part and 491 pages in full under FOIA exemptions (b)(5), (b)(6), (b)(7)(E), and (b)(3) with 6103(a) as the supporting law. The deliberative process privilege protects documents that reflect the pre- decisional opinions and deliberations that play a direct part in the process of making recommendations on legal or policy matters. The attorney-client privilege protects confidential communications between an attorney and a client relating to a legal matter for which the client has sought professional advice. Exemption (b)(6) of FOIA exempts from disclosure files that, if released, would clearly be an unwarranted invasion of personal privacy. These include medical, personnel, and similar files. We base the determination to withhold on a balancing of interests between the protection of an individual's right to privacy and the public's right to access government information. The Supreme Court ruled that Congress intended the "similar files" provision to be construed broadly, so that all information which applies to a particular individual qualifies for consideration under exemption (b)(6). Guidelines for law enforcement investigations or prosecutions, if release could reasonably be expected to risk circumvention of the law. Exemption (b)(3) of FOIA requires us to withhold information that is specifically exempted from disclosure by another law. The law supporting this exemption is Internal Revenue Code section 6103(a). The withheld portions are the tax information of other taxpayers. The redacted portions of each page are marked by the applicable FOIA exemptions. This constitutes a partial denial of your request. I have enclosed Notice 393 explaining your appeal rights. No fees were incurred in processing your request. The responsive documents are being released to you on the enclosed CD which is password protected. The password is being provided to you in a separate letter. If you have any questions please call Senior Disclosure Specialist Vivian A. King, ID # 1000207866 at 651-312-7813 or write to: Internal Revenue Service, HQ Disclosure, Stop 211, Post Office Box 621506, Atlanta, GA 30362-3006. Please refer to case number F14099-0153. You may file an appeal with the Internal Revenue Service (IRS)within 35 days after we (1) deny you access to a record in whole or in part; (2) have made an adverse determination as to your category as a requester; (3) deny your request for a fee waiver or reduction; or (4) have advised you that no records responsive to your request exist. You may file an appeal within 10 days when a request for expedited processing has been denied. If we deny your appeal, or do not address an issue raised in your appeal within 20 days (excluding Saturdays, Sundays, or legal public holidays) after the date we receive your appeal, you may file a complaint in United States District Court in the district in which (1) you reside; (2) your principal place of business is located; (3) the records are located; or (4) the District of Columbia. A complaint may be filed within 10 days (excluding Saturdays, Sundays, or legal public holidays) after the date we receive your appeal if your appeal is from an adverse determination of a request for expedited processing. If you choose tofile suit before receipt of a final determination by the Appeals office, the administrative appeals process may cease. The rule for effecting service ofjudicial process upon the Internal Revenue Service is set forth in Federal Rule ofCivil Procedure 4(i). In addition to service upon the United States, as set forth in Rule 4(i)(1), service must be made upon the Internal Revenue Service by registered or certified mail as set forth in Rule 4(i)(2)(A). The address of the Internal Revenue Service is: Internal Revenue Service, Attention CC:PA, 1111 Constitution Avenue, N.W., Washington, D.C. 20224. (B) establishes particular criteria for withholding or refers to particular types of matters to be withheld. Note: Internal Revenue Code sections 6103 and 6105 are statutes which qualify for exemption 3 treatment. 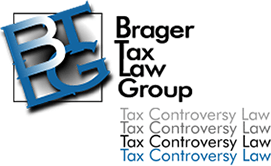 Section 6103 protects the confidentiality of tax returns and information pertaining to a taxpayer collected by the IRS. Section 6105 protects information obtained from a foreign country under a tax treaty. (b)(9) * geological and geophysical information and data, including maps, concerning wells.